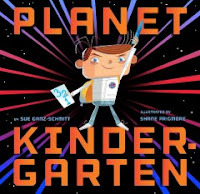 Through an NPR project, a group of more than 25 authors, actors, politicians, philanthropists, scientists and musicians each shared five stories that they absolutely love reading to their children. The Storybook Project, created by Jessica Deahl from NPR’s All Things Considered, launched earlier this month at http://nprstorybook.tumblr.com/with recommended titles from author Edwige Danticat; comedian/actor/producer couple Adam and Naomi Scott (known for Parks & Rec, Hot Tub Time Machine, Step Brothers); writer/illustrator Chris Van Allsburg (Jumanji, Polar Express, etc. ); chef/cookbook author/food education advocate Jamie Oliver; and Yale law professor/author Amy Chua. · Maz Jobrani - comedian and panelist on NPR’s Wait Wait… Don’t Tell Me! Have you used our 3M Cloud Library? It's one of our ebook products that you can use to download onto your mobile device. Last week it has been officially one year that we have offered this service to the product. If you haven't used it, its super easy to use! To learn more about it, visit the WCCLS 3M Cloud page. Happy 1st Birthday to our 3M Cloud subscription! DC Comics recognizes today, Saturday September 26, 2015 as Batman Day! Stop by the children's room on the first floor of the library to pick up some Batman goodies like bags, buttons, masks, and bookmarks. 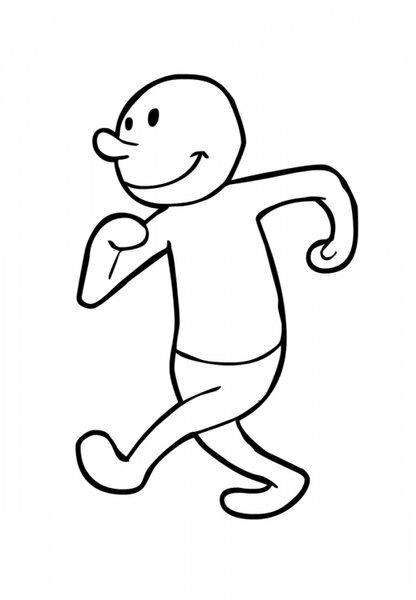 Plus we've got coloring and activity sheets available to take home along with books available to check out too! Giveaways are available while they last. Happy Batman Day! Join us for our monthly LEGO Construction Zone for September on the 27th, 1:30-3:00 p.m. in the Puett Room. We'll supply the bricks so you can come work on your creations with other builders. This program is open to ages 5 and up. 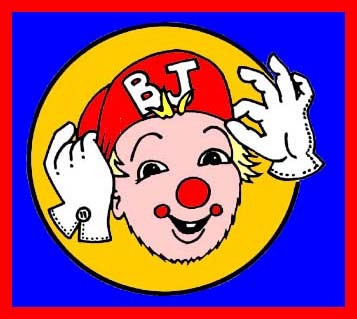 Everyone's favorite local clown, BJ, will back with an exciting hour of comedy, magic, juggling, music, storytelling, puppetry, and physical comedy. Talk about a jam-packed show! It's going to delight people of all ages. Come see him on Friday September 18 at 6:30 p.m. in the Burgess Community Room. 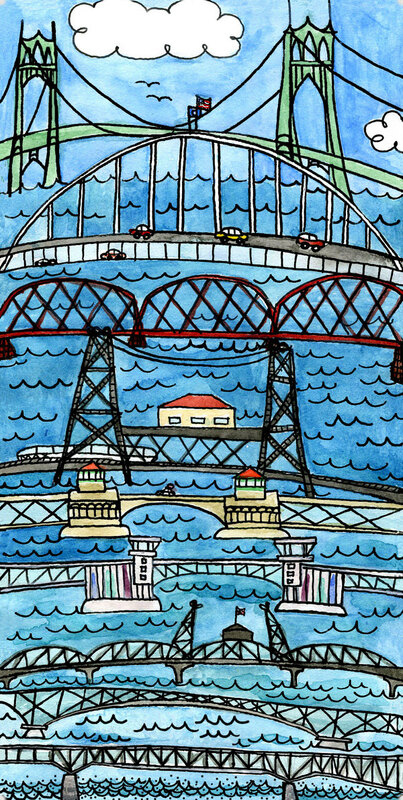 Sharon Wood Wortman, author of The Big & Awesome Bridges of Portland & Vancouver and The Portland Bridge Book, will share images and stories from more than 20 years of studying and leading tours of the many bridges in our region. Learn how model bridges are built and tested. Please join us for this bridge storytelling slideshow on Wednesday September 16, 6:30-8 p.m. in the Burgess Community Room. Books will be available for sale and signing following the program. The program is generously sponsored by the Friends of the Tigard Library. Make the most of the spectacular September weather and our location on the Fanno Creek Trail by walking, biking, scooting or skating to the library Sunday, September 13–Wednesday, September 30. Visit us at the Children’s or Adult Reference Desks, tell us that you walked or rolled (on human-powered wheels) and get a small prize and a big thumbs up! This is our second annual Walk ‘n’ Roll to the Library event. 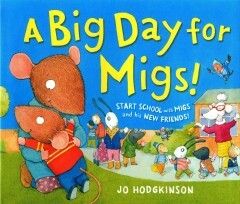 Show your appreciation of family by doing something grand at the library! Sunday September 13, from 1:30-2:30 p.m. in the Puett Room. We will be making our own special edible treats to enjoy while creating one-of-kind crafty keepsakes to give to those you love. 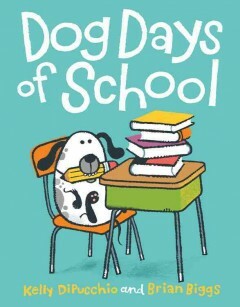 Today, as I'm sure many of you are aware, is the first day of school for Tigard-Tualatin schools. We want to remind you that the library has lots and lots of resources to help your students be successful with their homework endeavors. We've got books to support state and country reports. We've got biographies when they need to read about a real person, and of course, tons of fiction books for them to meet their reading assignments. Youth librarians are available all hours we are open to the public to help students find exactly what they need to help them fulfill their homework needs. We are more than happy to lead kids to the perfect book for them! 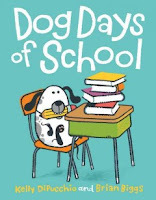 And while you are visiting the library, be sure to sign up for a library card if your child or yourself does not have one. 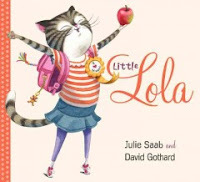 September is Library Card Sign-up Month and what a great way to celebrate! Get yours today! It's FREE! 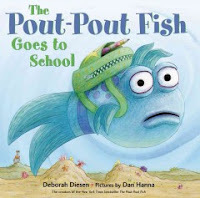 While teaching children vocabulary is very important to their literacy development, there may be some words that you as a parent don't want your child to know. Are you having a tough time teaching your little ones the importance of using proper words? Ones that are useful and positive rather than those that are inappropriate and demeaning? 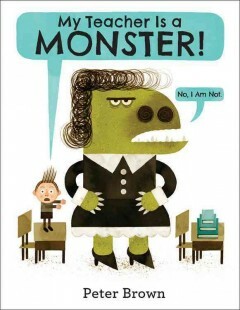 Well, I've got the perfect book for you! Little Bird's Bad Word by Jacob Grant is a perfect example where a young bird learns a new word...which isn't exactly a very good one either. He loves this new word so much that he shares it with everyone he meets. But those who hear the word think it is hurtful and mean. 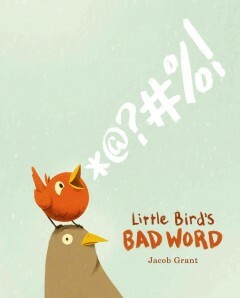 Little Bird doesn't realize that what he is saying and doing has any impact on those around him. In the end, he learns a very valuable lesson, while adding a little bit of humor to the plot along the way. School is starts a week from today. I can't believe summer is coming to an end. Wow, time sure does fly! 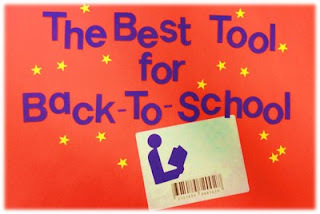 Do you have some kiddos at home dreading going back to school in September? 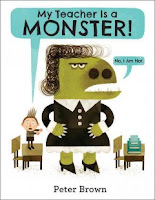 Well, here's some fun picture books that just might help them get back into their regular school routine and make them excited to go back to class! 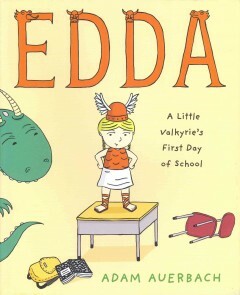 Edda, the littlest Valkyrie, leaves the magical land of Asgard to attend school in hopes of making a friend her own age, but feels like an outcast until she finds her courage and learns that being different makes her special. Migs' first day of school gets off to a rough start, but he overcomes his shyness to ask for help from his new classmates and makes the day special for everyone. 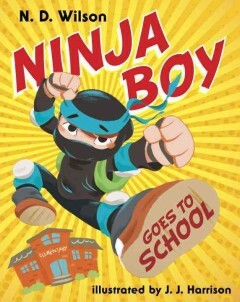 A little boy explains what it's like to go to school--when you're a ninja. Livi imagines herself as an elephant, a Sherpa leading an expedition up Mount Everest, and a movie star signing autographs as she tries to avoid going to school. 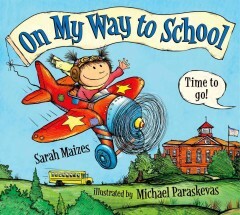 After climbing aboard a school bus, a curious cat spends an enjoyable day at school.